I am sharing another Bible verse free printable with you! 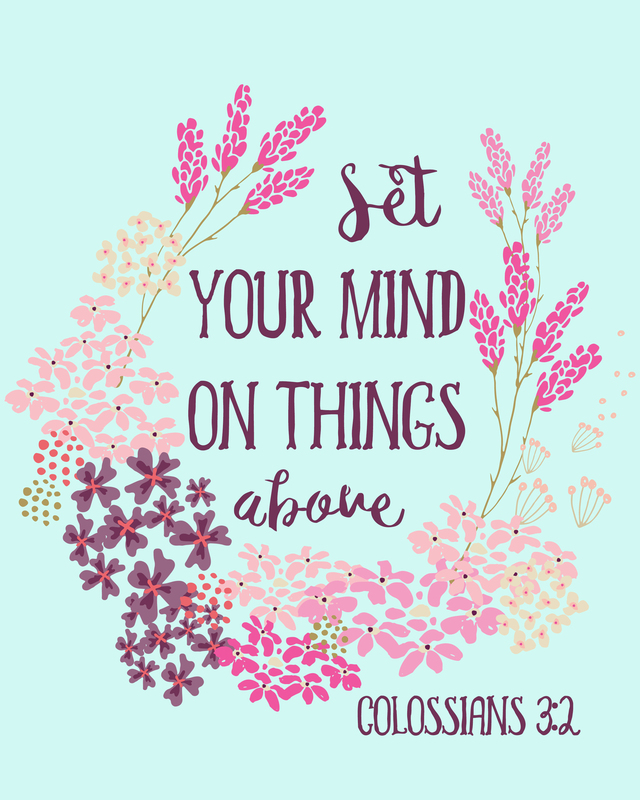 Bible verse Colossians 3:2 (NIV). I love this verse as it reminds me to adjust my priorities and always put God first and trust in Jesus Christ as our Savior. This verse also helps me to NOT fill my mind and attention on things of this earth that do not last but instead focus on things that really matter like God and eternity in heaven. Art prints make great decor around your home or office and are so inexpensive and easy to print yourself! This printable is designed to fit within an 8×10 frame. I recommend printing on card stock paper or photo paper. Just open pdf file, print, trim and display in any space or save the jpg file and send it to your local photo center to print.